Performed by an ensemble of some of Ireland’s finest actors, Furniture comes to Backstage Theatre, Longford on Tuesday and Wednesday, April 23 and 24. The internationally acclaimed Druid Theatre Company descends on the region over the coming weeks with one of the most talked about shows of the year. Furniture, a laugh-out-loud comedy that has audiences across Ireland raising to their feet every night to thunderous applause comes to An Grianán, Letterkenny, tonight Wednesday, April 10; Hawk's Well Theatre, Sligo, Friday and Saturday, April 12 and 13; Roscommon Arts Centre, Tuesday and Wednesday, April 12 and 13; Ramor Theatre, Cavan, Friday and Saturday April 19 and 20 and Backstage Theatre, Longford on Tuesday and Wednesday, April 23 and 24. 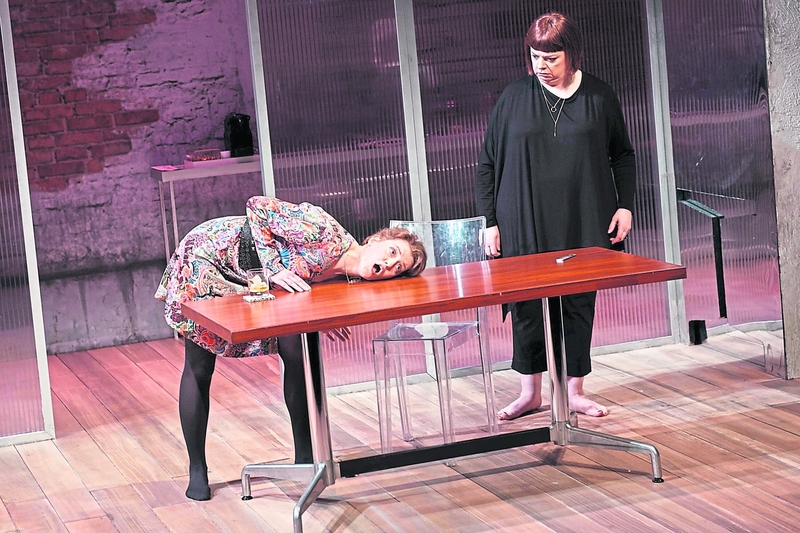 Written by Sonya Kelly (The Wheelchair on my Face, How to Keep an Alien), Furniture is a lighthearted new play about perceptions and possessions. Told through the lives of six individuals, this fresh comedy looks at how the things we own shape our worldview and even ourselves. Furniture is not sentimental. You can love it, but it won't remember who you are. The play received a staged reading in 2016 as a Druid Debut and had its world premiere as part of Druid’s remarkable season of new Irish writing at Galway International Arts Festival in 2018. Original cast members Niall Buggy and Garrett Lombard reprise their roles of George and Michael respectively, with Kate Kennedy, Ruth McGill, Rory Nolan and Helen Norton completing the stellar cast for the nationwide tour. Speaking of its sell out run as part of the Galway International Arts Festival 2018, artistic director Garry Hynes recalls: “From the first previews the audience absolutely loved it. Such was the success of the premiere that Druid has returned this year with a national tour taking in thirteen venues across Ireland. Both critics and audiences have universally loved this show with the Irish Independent calling it “whip smart” and “a triumph,” while audiences have flocked to social media to share their love of the show. The performances in Donegal, Longford, Sligo, Cavan and Roscommon are part of an eight week nationwide tour that will see the Druid Theatre bring Furniture to 13 different counties. Tickets for the performances during the nationwide tour are priced at €25 and €22 and are available by visiting www.druid.ie or by contacting any of the theatres directly.